I just couldn’t believe it. I’m pretty open minded. But this…? Apparently, a chemist at Doane College in Nebraska has been busy perfecting a cologne that could help you survive a zombie apocalypse; kind of a zombie-repellent-in-a-bottle. According to the article on Daily Mail, Dr Raychelle Burks came up with the foul-smelling zombie repellent that mimics the smell of rotting human flesh. The concoction is a mostly a combination of two foul-smelling chemical compounds, putrescine and cadaverine, which coincidentally are emitted by decaying flesh. And there’s a dash of methanethiol, the molecule that produces the rotten egg smell. And if you smell like a rotting corpse, says Burks, chances are good that zombies will pass you by for a fresher meal. ‘One could also wear it when casually waiting out the zombie apocalypse so as not to attract the attention of a roaming horde of zombies,’ she told NBC News. Hey, who knows, it might come useful. 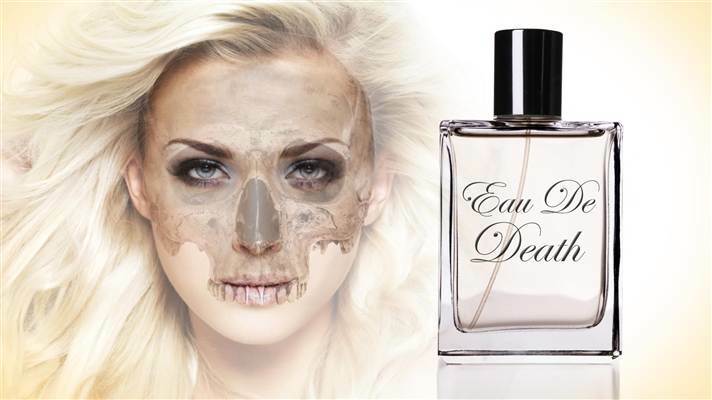 But, as for me, I’d rather be dead than walking around the cities among zombies with this Eau de Death! !